Houston Rockets crystal team logo necklace contains red and black crystals. This official product is fully licensed and made using intricate metal molds and injected patterns for amazing detail. 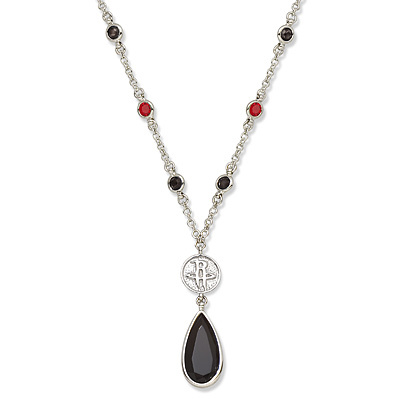 The length of the necklace is adjustable from 16 to 19 inches. Available while supplies last. Import.